Halloween is always a fun time for children, dressing up, eating sweeties and doing themed activities. Top That Publishing sent us a couple of their Halloween themed books for my children to try out and they proved a big hit! 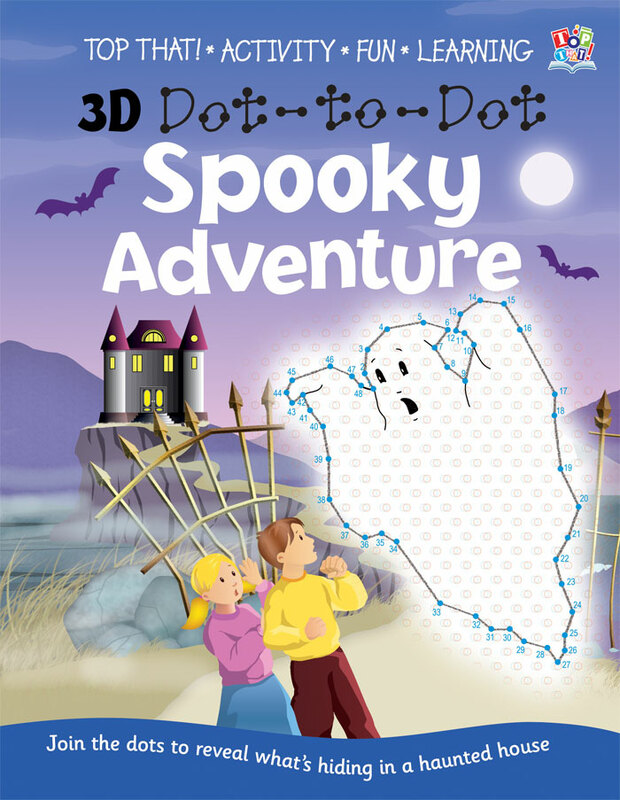 The 3D dot to dot book was perfect for Miss M age 5, it was the perfect level for her, a bit more challenging than what she had done previously but exactly what she needed. She loved working through the spooky pictures. The dot to dot book is not only an activity book, it doubles up as a story book. The dot to dot images had Miss M in awe, she sat down consistently night after night completing her dot to dots, loving the challenge of completing the pictures. In the really high numbers she made a couple of mistakes but nothing we couldn’t correct. I saw this as great practice for her counting and number work and she loved the fun aspect of the resulting picture. The 3D glasses added another dimension to the book. 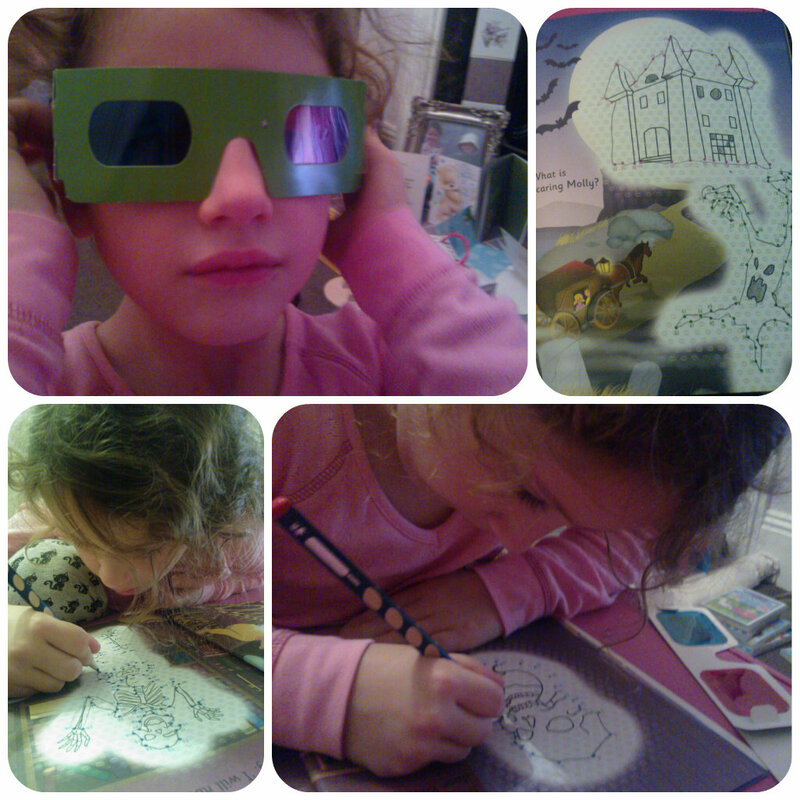 They made all the images pop out in 3D, something Miss M found fascinating. What I loved about this book is that a story runs through it about Max and Molly on their fairground ride which results in seeing lots of ghosts and spooky images along the way. This was a great story that we can read up on the run up to Halloween and beyond. 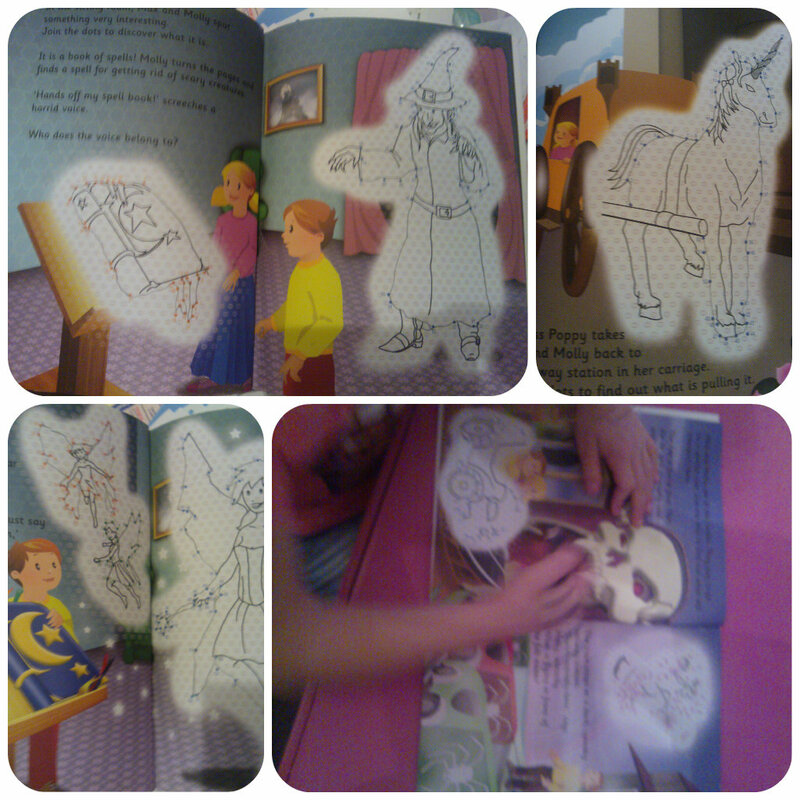 Miss M actually went to great effort to read the story herself and read it to me last night. There were a few words that caught her out but the majority, including long words such as ‘interesting’ and ‘investigate’ she was very proud to get correct herself. 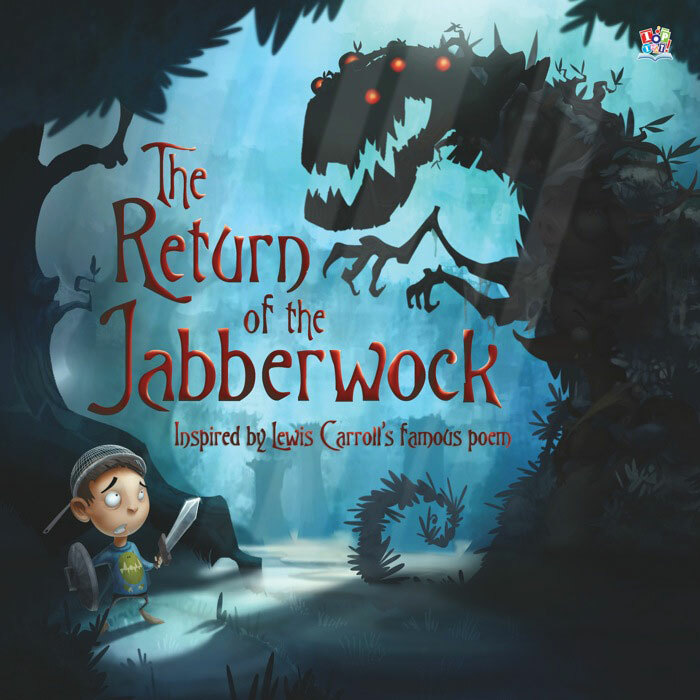 The book The Return of the Jabberwock is inspired by Lewis Carroll’s famous poem. It is a fabulous rhyming book that’s easy to read with engaging illustrations for children. We enjoyed reading this together with the rhyming lines aspect being an added attraction. The story images are quite dark and creepy feeling so definitely suited to older ones, 5 plus should be fine. There is also the original Lewis Carroll poem included at the front which is a really nice touch. Miss M didn’t enjoy this due to the old fashioned English but I loved reading it. She did enjoy the main story though and the rhyming really engaged Miss M with her eagerness to hear the story throughout and see how it ended.